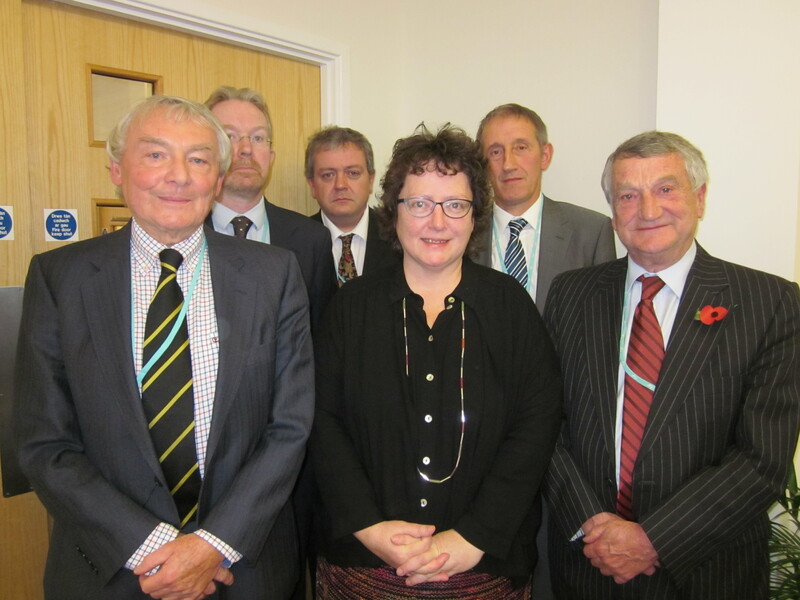 Today, the much-awaited Longley Report on Mid-Wales Healthcare and Bronglais has finally been released. Here we finally have a recognition of the unique set of challenges facing our rural health needs. Now it’s time for the Health Boards and the Welsh Government to seize the opportunity offered by the report of Professor Marcus Longley’s Mid Wales Health Review. The Review was commissioned by the Health Minister last November, following calls from myself and a delegation of mid-Wales doctors and campaigners. One of its main recommendations is to create a Mid Wales Health Collaborative across three health boards in order to plan for the future of healthcare in mid Wales. It’s vital that we take this opportunity to give Bronglais Hospital a strategic role in healthcare for the whole of mid Wales. Rather than being on the fringes of health planning, it should be given the central importance it deserves, and long-term certainty. In order to do this, the Welsh Government and the three health boards involved need to work together to embrace the blueprint outlined by Professor Longley’s report. This is an authoritative piece of work outlining the weaknesses of the present model and the challenges that lie ahead. I hope that the new Mid Wales Collective will be strong, and chaired by a respected and independent figure. The fact that this Review was commissioned was a recognition that Bronglais is different. We have distinct needs in mid Wales because of the travelling distances involved. Urban models of healthcare just don’t work. Bronglais has to be a sustainable hub for core services, led by a team of experienced consultants maintaining the kinds of services that have to be available within reasonable travelling distance. As the Review notes, Bronglais has to be part of a fully integrated primary and secondary system for mid Wales. The population is too small for units to be in isolation and GP practices and other forms of primary care need to be strengthened by greater collaboration. This report isn’t the end of the battle for services at Bronglais, but it offers an historic opportunity. Longley provides a Blueprint for the future and the proposed new Mid Wales Health Collaborative is the vehicle to deliver on the improvements needed. Please take the time to read the report by clicking this link.